Got summer plans? We hope they include a tour of your local parks. In addition to tons of fun, you could bring home a prize package or a free bike after a park tour along the Discovery Trail. Our popular Discovery Trail Map returns for a fourth straight summer of fun, and in celebration of Fairfax County’s 275th anniversary, this year’s map chronicles milestone moments in each featured park’s history. Best of all this year, the program is expanding so that both children and adults are eligible to win. 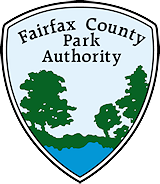 Pick up a map at any staffed Fairfax County Park Authority (FCPA) location, any Fairfax County Public Library, any of the five Northern Virginia Spokes, Etc. locations, your Board of Supervisor’s office, or download one from www.fairfaxcounty.gov/parks/discovery-trail-map. Visit eight of the 12 featured parks between May 27 and September 4, 2017. Collect a sticker at each site, and place it in the corresponding box on your map. Once you’ve collected eight stickers, you qualify for a prize pack valued at $93 that includes passes to more summer fun. You’ll also be entered in a drawing to win one of four bikes donated through the Fairfax County Park Foundation by Spokes Etc. and Trek. Turn in your completed map at the main office at Burke Lake Park, Lake Accotink Park, or Lake Fairfax Park to get the prize package that includes admission tickets for a round of mini-golf, a carousel ride, a train ride, a tour boat ride, a pedal boat outing, camping, a wagon ride, a RECenter pass, AND a boat rental! While you’re there, fill out a form to enter the drawing for a bike. Four people will take home bicycles. One winner will come from each of four groups – preschoolers through second grade, grades three through seven, grades eight through 12, and adults age 18 and older. Participating sites are Burke Lake Park, Colvin Run Mill, Ellanor C. Lawrence Park, Frying Pan Farm Park, Green Spring Gardens, Hidden Oaks Nature Center, Hidden Pond Nature Center, Huntley Meadows Park, Lake Accotink Park, Lake Fairfax Park, Riverbend Park, and Sully Historic Site. Directions to each of the parks can be found on the Park Authority website and in Parktakes magazine. While at the parks, keep an eye out for Thomas, Baron Cameron, sixth Lord Fairfax. He was an influential friend of George Washington and was the only English titled nobleman ever to reside permanently in the colonies. Lord Fairfax was born in England in 1693, inherited the land between the Potomac and Rappahannock Rivers ranging from the Chesapeake Bay to the Shenandoah Mountains, and moved to Virginia permanently in 1742. In 1748, Washington was one of the men he hired to survey his land. The two remained close until Fairfax’s death in 1781. If you happen to encounter a cardboard cutout of Thomas, snap a selfie with him and upload it to our Instagram page with the hashtag #WhereIsLordFairfax. The best photo of each week wins a prize. Check the FCPA Facebook page weekly for clues about Lord Fairfax’s whereabouts. Each featured site on the map has a connection to Fairfax County history. One of the parks exists because of Fort Belvoir, another was a private recreation facility, and a third was home to illegal moonshining. Learn which one was almost an airport. One housed a 19th century biracial church, and one almost became a lake. The Discovery Trail Map is a great way for students to keep the knowledge flowing during summer months, for families to explore nature and history close to home, and for you to learn about your fabulous local parks. So, pick up or download your Discovery Trail Map, explore your parks and win! Co-Author Karen Thayer is the editor of the Park Authority’s Parktakes Magazine, and co-author David Ochs is the editor of the agency’s ResOURces newsletter. This entry was posted in Uncategorized on May 24, 2017 by Fairfax County Park Authority.